This is a miniature spaceship from the short film The Spaceman. The model was built from foamcore, cardboard, 3D printed parts, model kit parts, found objects, and battery operated LED lights. The movie is about a man who builds a cardboard spaceship and travels to an alien planet. This miniature forest was built to replicate the real locations in Northern California for a battle scene that used a stop-motion monster puppet fighting a live actor. The trees were made from various sizes of PVC pipes sprayed with insulation foam, decorated with moss, and artificial vegetation, then painted. This is a work in progress wagon/car hybrid for Michelin Embers new music video. The body is made of wood with a rotating metal engine platform. The steam engine and wheels were 3D printed then painted. There are found objects and model kit parts as well. This stylized organ was made for the short animated film Wormholes. It was created with wood, old electronic parts from a guitar pedal, curved pvc pipes, an old clock, and found objects. The floor of the room was made from hundreds of "woodsies" that were painted to look like a hardwood floor. This miniature planet was created from 2 glued together pieces of styrofoam. Textures were created by carving in carefully with an exact knife. Black and white paint was carefully added to create the right atmosphere. 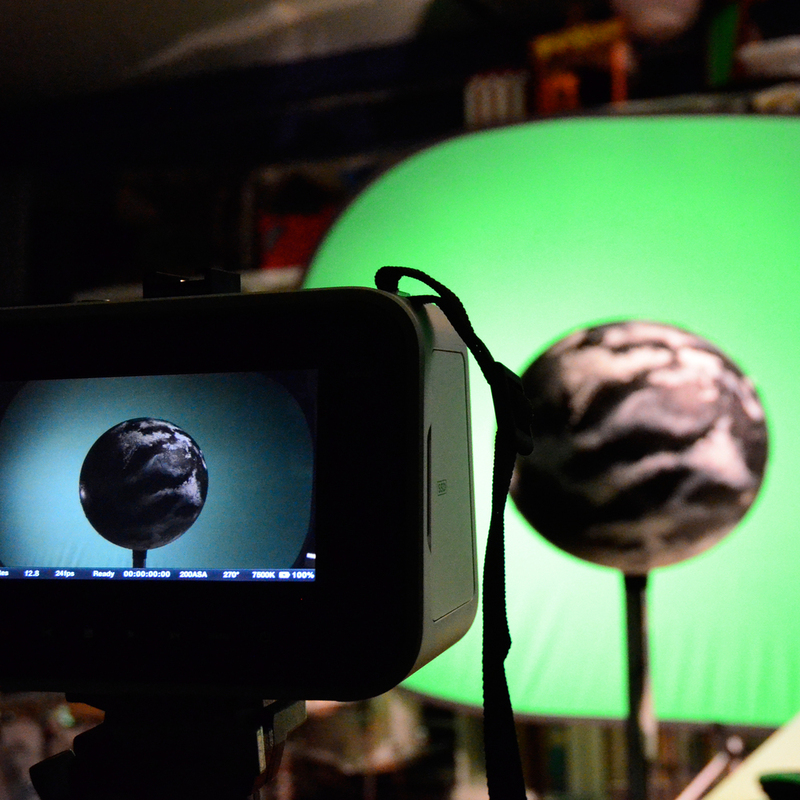 The planet was filmed against green screen and a glow was added with the computer to finish it off. This spaceship corridor was built using foam-core, kit pieces from a firetruck model, photographs of cardboard I drew on with a sharpie, duct tape, tinfoil, and many LED lights. These stylized hearts were created for a new Annie Woodward music video. For the background I used different layers of mesh fabric against a black cloth. The ribs were built from wire and duct tape, and the heart was created using a thin wire armature that housed a small LED ball of light. 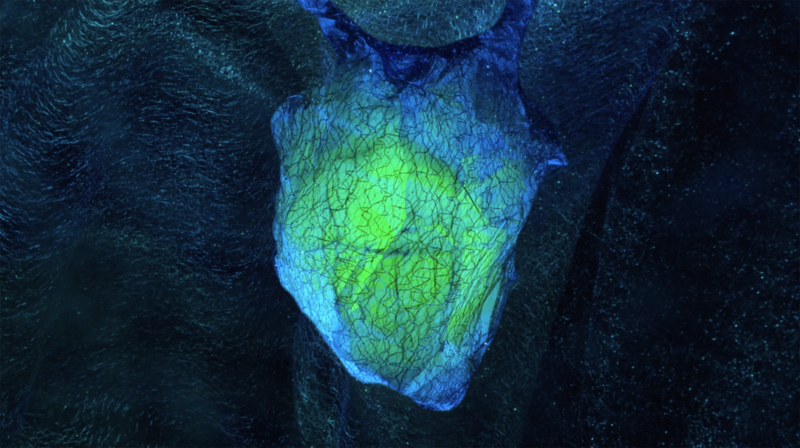 It was then covered with white tissue paper, more wire, and finally the same mesh fabric as the background to give it the illusion of veins and tissue. 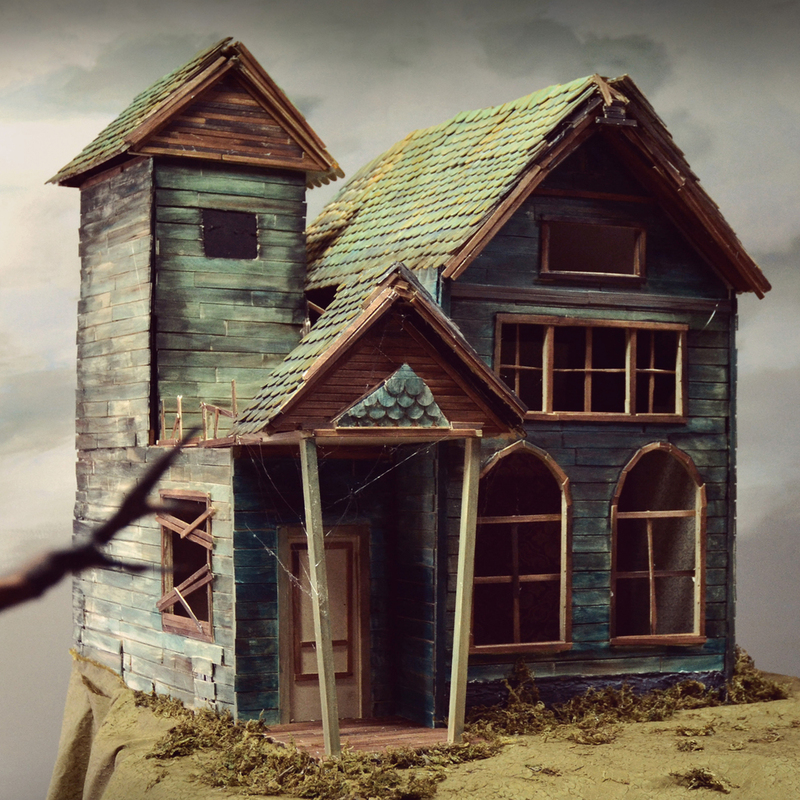 This house was created for the opening tracking shot of the animated film Wormholes. It was made of various types of wood & acrylic paint. 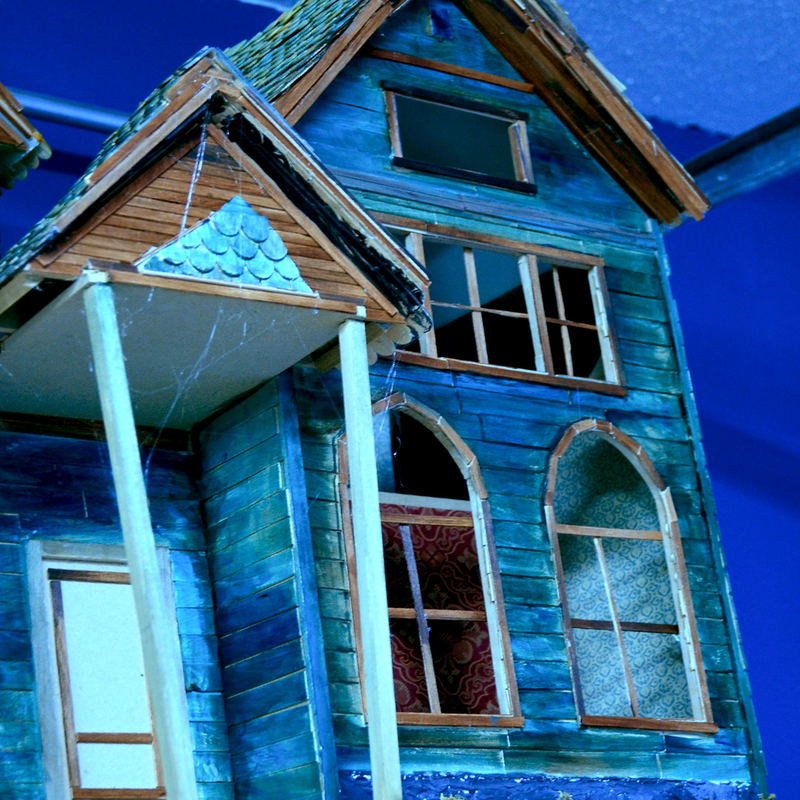 The cobwebs were made from a hot glue gun. This is a miniature replica of the El Rey Theatre in Chico, CA for the Animation Chico film festival. It was created for an animated promotional video and made with foam-core. The marquee and sign are elluminated by LED lights purchased from IKEA. 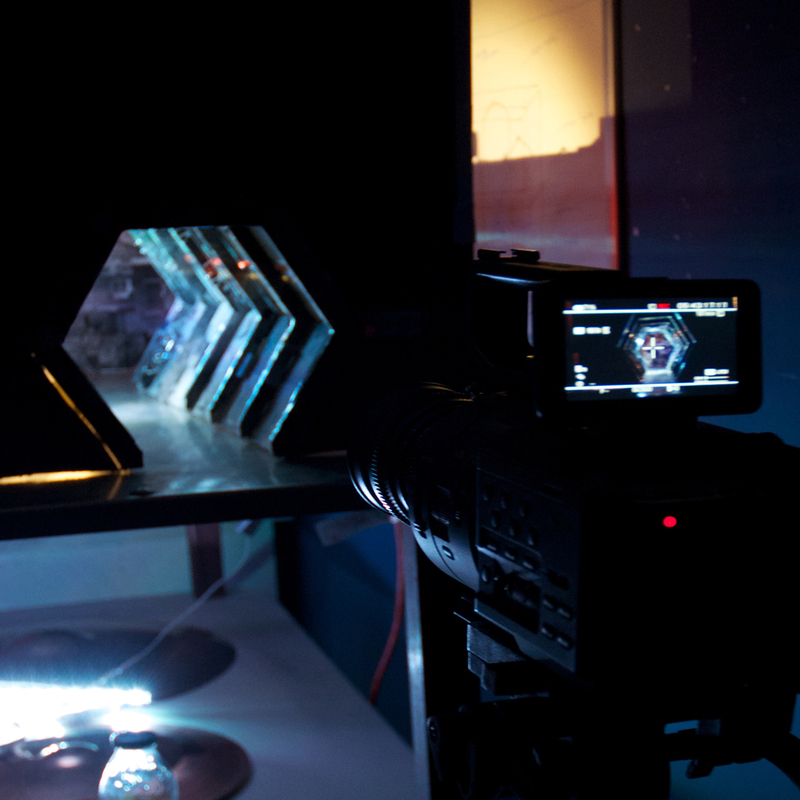 The marquee letters were designed in photoshop and printed on transparency paper. See the promo video here. 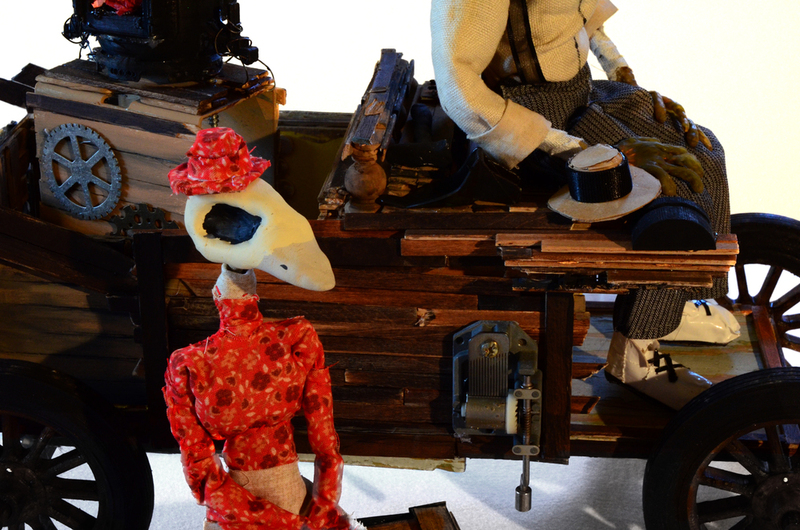 Miniature truck, wagon, heart, steampunk drill, puppets, and tire fire for Michelin Embers stop-motion music video "Diggin' On."